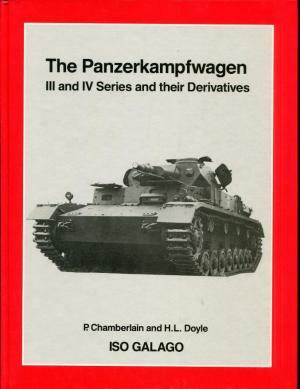 Military History Books, MILITARY HISTORY BOOKS - THE EDITOR'S PICK THE PANZERKAMPFWAGEN III & IV SERIES AND THEIR DERIVATIVES,Peter Chamberlain,Hilary Louis Doyle,Galago,ISBN 0946784124,Flakpanzer,Assaultgun,Panzerjager, LEOPARD 2A6: THE GERMAN LEOPARD 2A6 MAIN BATTLE TANK, DEVELOPMENT - DESCRIPTION - TECHNOLOGY,Ralph Zwilling,Tankograd,2A6A1,2A6M,2A6MA1,2A6M+, LEOPARD 2A6: THE GERMAN LEOPARD 2A6 MAIN BATTLE TANK, IN ACTION AND VARIANTS 2A6A1/2A6M/2A6MA1/2A6M+,Ralph Zwilling,Tankograd, GERMAN ARMOURED FORMATIONS IN THE OZAK 1943-45,Stefano Di Giusto,Tankograd,OZAK (Operations Area Adriatic Coastland),included the north-eastern border regions of Italy and parts of Slovenia and Croatia, ENCYCLOPEDIA OF ARMOUR MODELLING TECHNIQUES: VOL. 1 CONSTRUCTION,Ammo Mig Jiminez,ISBN 9788494474156. 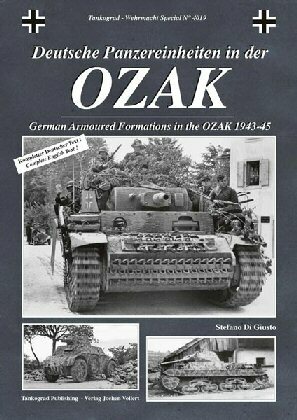 An illustrated study of the tanks that formed the backbone of the German Panzer force of WWII, with hundreds of photographs, diagrams and detail views. The book also covers Command, Flakpanzer, Assaultgun, Panzerjager, and artillery variants of the basic design. The German Leopard 2A6 main battle tank has developed into the most versatile family of vehicles in the whole Leopard fleet. Aside from its main variant, improved versions such as the 2A6A1, 2A6M, 2A6MA1 and 2A6M+ have been fielded and make this family the most advanced AFV in the modern Panzertruppe. In unprecedented detail this publication details the tank's development, technology, variants and active use. 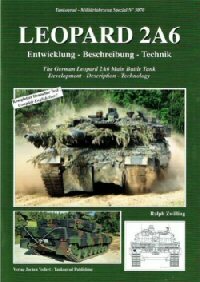 In two volumes it is the most detailed study of modern German main battle tank technology ever published. Anglo German text and captions. 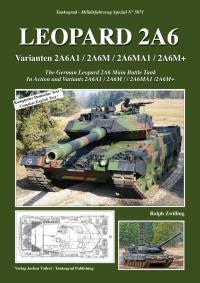 The second of two volumes, this publication shows the Leopard's development, technology, variants and active use. Photos, graphics and drawings offer arguably the closest look on modern German main battle tank technology ever published. Aside from its main variant, the 2A6, improved versions such as the 2A6A1, 2A6M, 2A6MA1 and 2A6M+ have been fielded and make this family the most advanced AFV in service with the modern Panzertruppe. Anglo German text and captions. In World War II, aside from the battlefields in the West, the Eastern Front and in North Africa, there was another small area where the Panzers ruled: the OZAK (Operations Area Adriatic Coastland), a large area which included the north-eastern border regions of Italy and parts of present-day Slovenia and Croatia. What makes this area so unique are the German armoured formations deployed there with an exceptional range of strange vehicles, which could be found nowhere else on any other frontline of World War Two. This publication looks at this exciting area of Wehrmacht Panzer history. Anglo German text and captions. 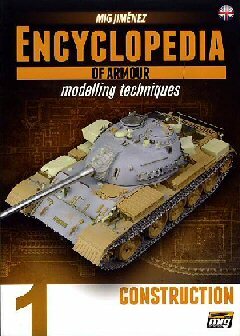 The definitive Encyclopedia of Armour Modeling Techniques by the author and some of the world's best tank modelers. Modelers will learn everything they need to enable the construction of military vehicles, from the easiest processes for the beginner to the advanced techniques for the more experienced modeler. Volume No. 1 covers in depth all construction techniques including how to clean and glue parts, work with photoetched details, scratch building, detailed interior construction, and much more.